This is a beautiful post. I wish more Orthodox Christians availed themselves of the freedom that we have as Christians. We are not members of a religion (God forbid!) nor are we slaves to any law other than the law of love, but we are co-members of the body of Christ, and made one with this very same body. Slavish adherence to the law kills, but the spirit gives life. After reading this several times, I come away with a tension…a thought, “what about the uncleanliness of my heart…the very thing that is most needful of cleansing?” Indeed this is the ultimate purpose of Jesus’ teaching of clean vs unclean. If it were only as simple as keeping the laws of clean and unclean as the means toward a pure heart! If it were that simple, I suppose I would have no need to trust that God can actually transform and continually cleanse my impure heart. No need to embrace His love, His forgiveness, His guidance…no need to strive for humility, to extend that love to others, to desire to love Him more. Thus, we would be our own god. And even if the means to “cleanliness” was to keep the commandments, I still couldn’t even do that. So yes, “religion” is not the answer…it is rather life in Christ. Appreciate these articles Father. Thank you. 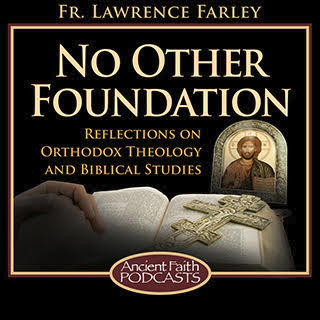 Father Lawrence, do you not feel that claiming that Orthodox Christianity is free of ritual purity rules runs against real-world practice and what other bishops and priest would claim is a matter of Tradition? Here in Romania, it is the general consensus that women should not enter a church if menstruating. I have even heard this rule insisted on by my bishop. In fact, I wouldn’t be surprised if globally among hierarchs, the prohibition of menstruating women in churches were more overwhelming than the view that they are allowed and that Christians are freed from such stigmas. Inversely, while here in Romania the Orthodox Church makes no protest against the very popular food of black pudding, I’ve seen several members of the North America church over the years claim that foods made with blood remain off-limits to Orthodox Christians. (For example, in one of the conversion stories in the SVS-published volume Turning East: Contemporary Philosophers and the Ancient Christian Faith, the author says that in joining the Church he was enjoined to give the food up). Yes, sadly I agree that some Orthodox, even bishops, keep to such rules. In the early church the question was debated, with some teachers like Dionysius of Alexandria stating that such rules should be enforced, while others (such as the author of the Didascalia) insisting they should not be. With the drop in weekly lay-communion, the question soon became moot, and the issue remained largely unaddressed. I maintain: 1. the question is still an open one, and 2. St. Paul (and the rest of the New Testament) is crystal clear that adherence to such rules constitutes a failure to understand our faith. With respect, the stated reason you were taught makes no sense to me. How would a cut while shaving prior to receiving the Eucharist spill the sacramental Blood of Christ? The celebrant dropping the Chalice would spill that Blood, but how would the communicant knicking himself while shaving two hours before receiving Communion do that? The diversity of explanation for why women may not receive Holy Communion while menstruating suggests that the explanations proffered are attempts to justify a prior taboo, and not the actual reasons themselves. That may have been a bad example, Father; sorry. What I meant is that if a man is bleeding, then, I was taught, he too must not commune, as, when we receive the Holy Eucharist, Christ’s blood flows through our veins. Thus, when we, having received Holy Communion, bleed, we spill His blood. I still cannot understand how receiving the sacramental Blood of Christ through the mouth into the stomach “translates” into His Blood flowing out through one’s veins, especially if the flow of blood (such as occurs when cutting oneself while shaving in the morning) stops prior to coming into Church. This seems to me to suppose an unduly literal understanding of the relationship of the sacramental to the biologically physical. If such an understanding be true, then how long would one have to wait until able to bleed non-sacramentally? And on what authority would one base such an understanding? Please forgive me in what I have to say. I do not mean to offend. I can not begin to express the emotion that triggers in me when I read about the prohibition of receiving the Eucharist for a woman who is menstruating. The sense of shame and disgust this policy brings upon a woman is beyond the pale. I speak as a woman. I have experienced the degradation, since childhood…words and admonitions that my father spoke, then only later, in rebellion and a longing to be loved, to lend myself to men that felt free to use me. A woman’s place in society is sometimes a very difficult place to be. It takes a lifetime to overcome this…by the grace of God it can be done. So in posts like this, when this prohibition is spoken of so nonchalantly (it is to me, anyway) is too much for me to bear. I can not understand how this could even be open to question in the Church, Father! I thank God that Paul spoke against these taboos. And my heart goes out those those women in Romania….I’m sure many, by years of conditioning, some actually agree with this rule. It is horrible. Thank you for writing, Paula. I do not see that anything you have said needs forgiveness. I applaud your honesty and courage. I’ve never “bought” the reasons behind prohibitions against women who are menstruating receiving communion, and I once attended a church where a priest asked his wife to tell him the dates when his teenaged daughter was menstruating so that he could EXCLUDE her from communion. Imagine the shame and degradation that she must have felt. Some of the women in the parish would refuse with her in solidarity. This was an OCA parish, in the Diocese of Mordor. At the risk of being crass, I go to coffee hour after communion and then, usually, go to the bathroom. I have received the body and blood of Christ into my own body, and I have emptied my body. How is this any different from what a woman experiences? In my own little OCA, no less! That is very sad. And a bit surprising, given that a Dept. of Religious Education booklet published by the OCA as long ago as 1980 entitled, Women & Men in the Church teaches that ideas and practices such as “women with their menstrual periods should not receive holy communion” are “morally and dogmatically indefensible according to strict Orthodox Christianity”. It further says that “Church leaders must address themselves to these issues and clear up all errors and abuses for the sake of the Christian life and the salvation of the people”. To which I can only add: “Amen”. I would not have believed this if I had not seen it firsthand….. and by standing up for the girl and her mother, I was excommunicated. This kind of pharisaicalism is alive and well in the Orthodox Church, and even in what has been laughably called the “liberal” OCA. This kind of pharisaicalism drove me out of the church and deprived me of the sacraments for several years.